Fall is my favorite season. Having grown up in Florida, I never got to experience the changing leaves, sweater weather, and apple picking. My mom grew up in St. Louis, so she tried to mimic fall in our house with pumpkins, stews, and apple pies, but I never really understood her obsession until now. Fall in MA is the best! I wanted to take advantage of the weather this weekend, so I spent a ton of time outside. On Saturday, there was a free Gavin DeGraw/ Backstreet Boys/ Of Monsters and Men concert in the Esplanade (I know, right?!). 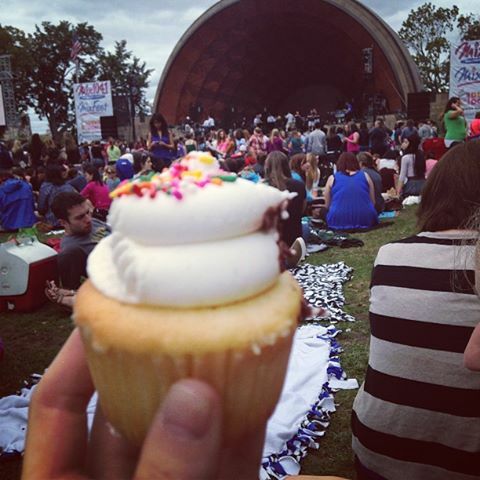 We picnicked in the afternoon (with cupcakes) and ended up scoring and awesome spot on the field. I then had a few drinks with friends that night, so needless to say, studying on Saturday was minimal. Today I had set aside time to see some friends from college. 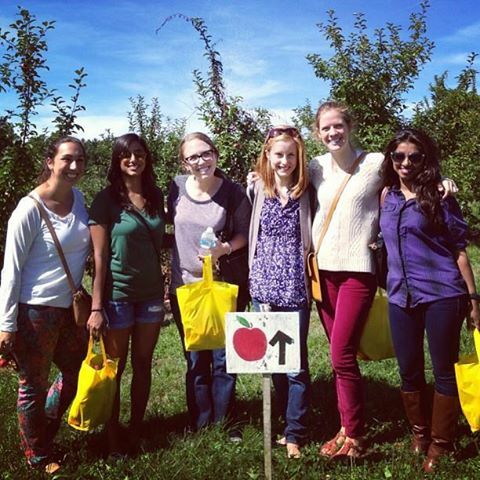 We went out to Shelburne Farm in Stowe, MA and had the most perfect day of apple picking. Cider Donuts included. So fun! I’m struggling a bit in find balance with meeting new med school friends and spending time with my old and dear ones, but I’m sure the balance will be worked out in time. I am very happy and lucky to have stayed in the same city for medical school with a somewhat built in support group. Making friends in medical school can have its challenges. Everyone is very friendly, but also very busy. I realized the importance of finding people on your same wavelength regarding school/life balance, otherwise it is easy to compare yourself and your habits to classmates, which I’m sure can drive someone insane. Overall, I think my school/life balance is pretty good (I did stay in on Friday night to study), but maintaining it will definitely take some effort! Sunday night means study time!! And mentally preparing yourself for the week to come. Previous PostPrevious Thursday nights in med school….